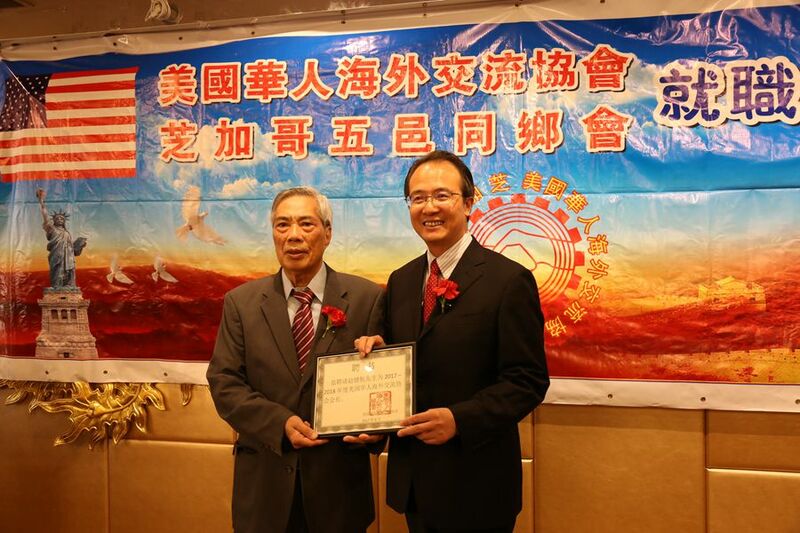 Consul General Hong Lei Attended the Inauguration Ceremony of the "Two Associations"
On the evening of August 6th, the Association of Chinese Americans and the WUYI Association of Chicago (hereinafter referred to as the "Two Associations") held an inauguration ceremony for new staff members. 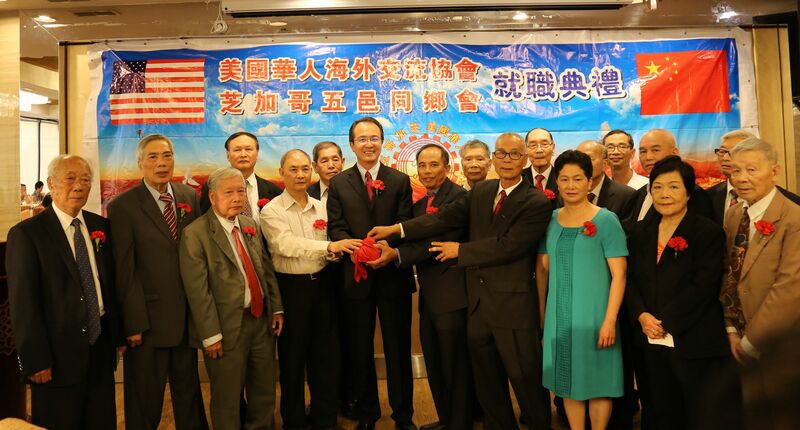 More than 200 people including Consul General Hong Lei, Vice Consul General Yu Peng, Chairman Wang Xingwu of Chinese American Association of Greater Chicago and representatives of Chicago's overseas Chinese community attended the ceremony . 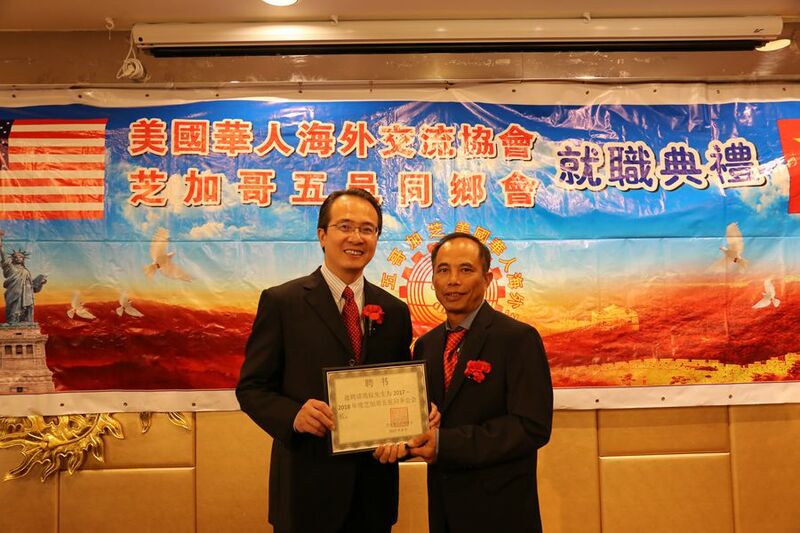 Consul General Hong Lei warmly congratulated the new "Two Associations" staff in his speech. He said that for the past year all the previous staff of "Two Associations" have dedicated themselves to serving overseas Chinese, promoting the development of China-US relations, supporting the peaceful reunification across the strait. We express our heartfelt thanks for all the work what they have done. Consul General Hong Lei said that China is in a critical stage of building a moderately prosperous society. The forthcoming Nineteenth National Congress of the Communist Party of China will further promote the comprehensive building of a moderately prosperous society, deepen reform, advance the rule of law and strictly govern the Communist Party of China. We firmly believe that this conference will lead China to a more glorious future. China-US relations generally maintain a good momentum. The two leaders met earlier this year and pointed out the direction for China-US relations. The first round of China-US diplomatic security dialogue and comprehensive economic dialogue achieved positive results. At the same time there are some sensitive issues in China-US relations which need to be properly dealt with. We hope that the leaders and members from the "Two Associations" continue to care about the development of the motherland and make further efforts to move forward China-US relations. 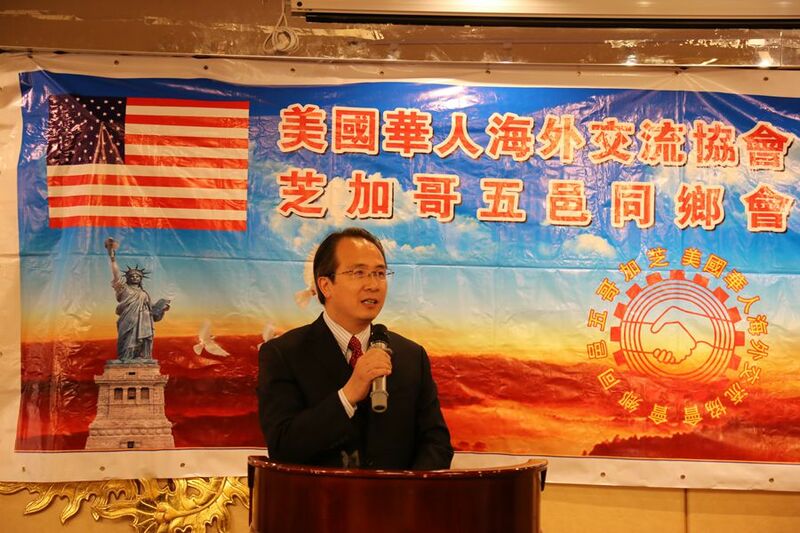 Zhao Jianhang, new president of Association of Chinese Americans, and Feng Quan , new president of the WUYI Association of Chicago said in their speeches, that "Two Associations" follow closely the reform and opening up of the motherland ,support the motherland's economic development and " road and belt" initiative as well as the development of China-US relations . Looking ahead we will work together to expand business and make new contributions to promoting the overseas Chinese community’s harmony and hometown’s prosperity .